The Conflicker worm, also known as Kido, Downup and Downadup, has infected millions of computers all over the world, the owners of which haven't even realized because this malware knows how to remain hidden. 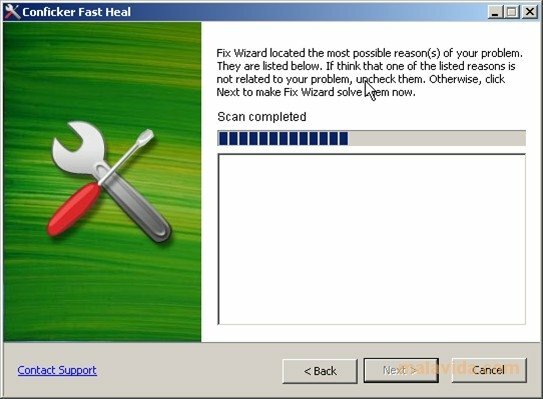 If you fear that your PC is one of those victims, you can install this tool that's capable of detecting and removing it. 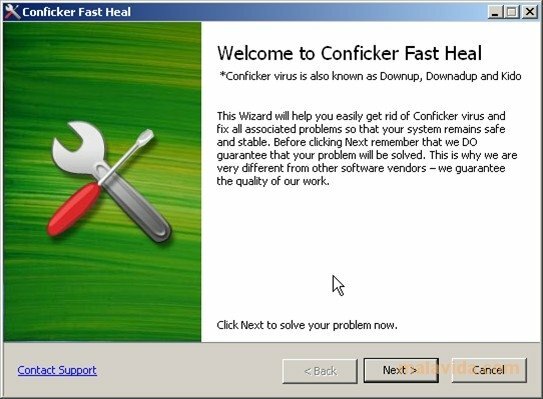 Conflicker Fast Heal analyzes your entire system in search of the most famous worm at present. If it finds it, not only does it remove it, but it also fixes all the problems associated to it, so that the system can be secure and stable once again. How this tool works is very simple, with an interface that runs as an assistant that will indicate the steps that we need to follow. Even if you haven't detected Conflicker, but you have noticed strange symptoms, Conflicker Fast Heal offers you the option to analyze the status of your PC and send a report, together with your email address, to the Security Stronghold team, so that they can send you a customized answer advising you about a possible solution. Find out if Conflicker is on your computer and remove it quickly and for free.